There are many different threats to keeping your data safe. Hard drive failure, computer theft and disasters like fire and flood can cause you to lose all of your precious personal and work files in an instant. Backups are essential to keep your data safe and thanks to the improvement in cloud storage and backup solutions you have a number of choices to keep your data safe and sound. With so many services available to the consumer it can be difficult to sort through all of the options to find the best for you. Take a look through our reviews and our ratings to help you find the perfect cloud storage or backup solution for you. 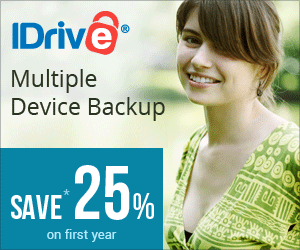 Don’t risk losing all your data, start backing up online today! These ten services are our top choices when it comes to cloud backup.